Buying a brokerage boat can sometimes be more complicated than a property transaction, so we have put together this short yacht buyers guide to help give you a clearer idea of the process and the potential stages involved. When purchasing a used boat it is important that the legal and financial processes are handled correctly. ABYA member yacht brokers are professionally qualified and as a requirement of membership must also carry Professional Indemnity Insurance, operate specifically designated client accounts and follow the ABYA Code of practice. 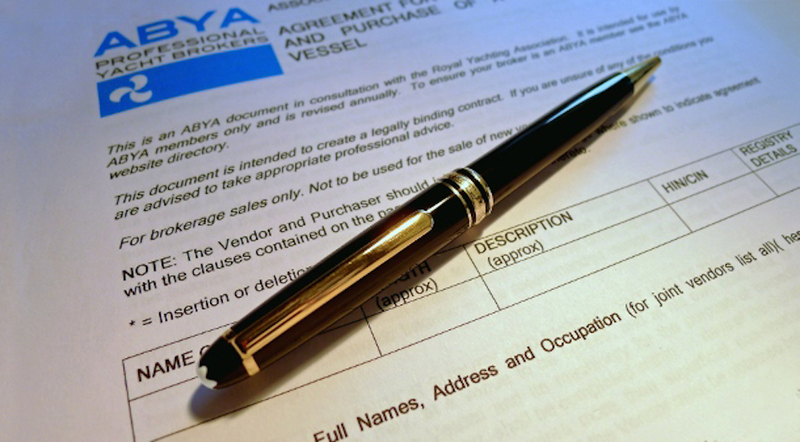 Unlike a property transaction where an agent will market the property and then hand over to conveyancing solicitors after acceptance of an offer, the ABYA yacht broker continues with the conveyancing until completion. The broker will ensure the distribution of final funds are handled correctly and that the boat’s title history, record of mortgages (if part 1 registered) and RCD and VAT status evidence have been requested, as well as administering the sale and purchase contracts and legal transfer of title. Through ABYA brokers the purchase is made by using an ABYA Sale & Purchase Agreement. Buying a yacht this way can be less stressful than the current English system of property buying, as everything is agreed in writing at the beginning. Once an offer is accepted and a deposit is paid, the yacht is then essentially off the market. At that point, no other offers can be accepted whilst the agreement is in place. An unconditional sale means the boat is sold “as is, where is” without any other inspection other than the buyer’s own inspection. A conditional sale usually means the buyer will commission an independent surveyor to survey the yacht prior to purchase. The boat is offered for sale and an offer is received “subject to survey” and accepted. The seller and buyer enter into an agreement drawn up by the yacht broker. A 10% deposit is taken and held in the broker’s independent designated client account. The deposit protects the seller if the boat is damaged during the survey or if any associated lift out/yard bills are not settled by the buyer. It also gives the seller reason to now accept no further offers whilst the agreement is running. The buyer is protected as the seller is now agreeing to sell to only that buyer at an agreed price and within an agreed time frame. The seller cannot change his/her mind or sell to a higher bidder whilst the buyer is spending money on a survey and the agreement is in place. As we are dealing with the sale of unwarranted second-hand goods between two private individuals, having a survey gives the buyer independent knowledge of what he/she is buying. It is also possible to insert an optional seatrial clause into the agreement. The agreement allows the buyer to re-negotiate the price or have the deposit refunded if he/she considers the boat defective as a result of the survey, as long as a full copy of the survey is provided to the broker/seller. In the unlikely event of an agreement not being reached within 7 days of notification of any such defects, the contract may be automatically rescinded and the buyer’s deposit refunded. The boat is then free to be re-marketed. However, it is important to remember that a used yacht will not survey like a brand new one. The survey will almost certainly have a relatively long list of recommendations for repairs and upgrades that are non-structural or safety-related and form part of the ongoing maintenance of a used yacht, rather than a basis for re-negotiation. Your surveyor will advise. The buyer pays for the survey and any associated lift out or yard costs etc. and the seller may no longer use the vessel until the agreement is completed. After the survey the boat sale moves to the completion stage. Once the sale is agreed, the balance payment is made to the yacht broker’s client account. On agreement of sale and receipt of funds to the protected client account, the yacht broker executes an MCA Bill of Sale in the name of the new owner. He then collates the paperwork and title documents to hand over with the newly executed Bill of Sale, whilst simultaneously transferring the funds to the vendor. It all works very well for both parties. The seller knows he/she has a committed buyer and financial protection. The buyer has time to find out exactly what he/she is buying and the knowledge that any money spent on surveys will not be wasted by the boat being sold elsewhere during the process. There is a clear written framework, with a professional yacht broker as a third party to administer it, and a safe method of distributing the funds. Although ultimately it is for buyers to satisfy themselves on the title history and VAT and RCD status of a used vessel, John Rodriguez Yachts will request paperwork or details on all listed yachts with regard to VAT status, RCD status and Title history paperwork and present these findings as a matter of course to a prospective purchaser. The ABYA Code of practice requires that all deposits and final payments are processed through a dedicated client account solely for this purpose. The John Rodriguez Yachts client account conforms to this requirement and is written in trust at Lloyds. When transacting through client accounts and/or to vendor and purchasers accounts, suitable identity should always be obtained and a two-step process should be in place. John Rodriguez Yachts will never ask clients to change bank account details via email or text. It is also a requirement that all ABYA brokers carry professional indemnity insurance and John Rodriguez Yachts is fully insured. Our full list of yachts for sale can be found here. 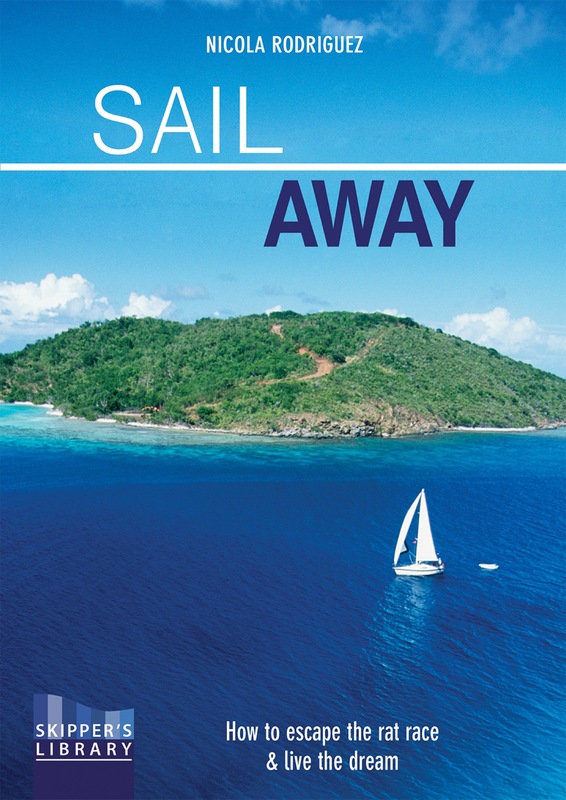 Information on selling your yacht can be found here.